I’m an avid sci-fi fan. It was my favourite genre growing up, and while that has given way to fantasy as I’ve gotten older, I’m always on the lookout for good science fiction novels. During my third year of university, I studied a module looking at medical ethics within writing. It was very “sciencey” – yes, not a word, but it is the word used to describe the module to me – but the module was rooted in reality. 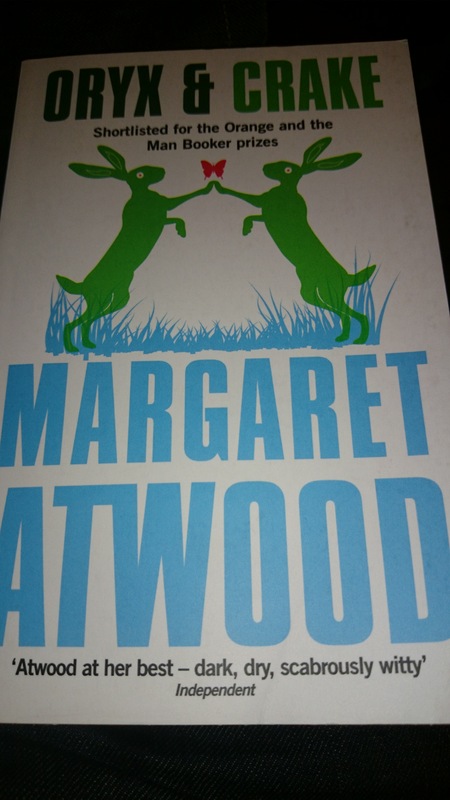 One of the books on the reading list was Margaret Atwood’s Oryx and Crake. I was dubious at first, but this has since become one of my favourite books out of three years at university. Some will call it science-fiction – and there is enough in there to classify it in that genre. The best term I’ve heard is speculative fiction, as this is something that could possibly happen in the future. This can be said of any science fiction story but some hit a bit closer to home because of the technologies and research being done at the time of writing, and this where Oryx and Crake crosses that line. Genetic modifications and manipulations, a strong underlying theme throughout the book, is in the news quite often anyway. That brings a sense of realism to the story. There’s more, but that would spoil the book. I enjoyed the flow but it is fragmented. Your protagonist, Snowman, will take you into his past to set up the world the reader is first presented with. There are a lot of questions that are answered as you go through the story, and more questions that are left to your own imagination. Once you get past the change in time frames, there is a good flow to the story. You are given the end of the story at the beginning, and throughout this era, you will go through the events leading to it. It works well, but you need to stick with it, as there are a lot of names thrown at you in short spaces of time and they all have a role to play. Atwood uses everything meticulously. If not, there’s a reason, and I’ll get to that later. Despite the science-fiction or speculative fiction genre, there is not much in the way of technical talk. Snowman is not a scientist and this shows through with his wording and characterisation. Rather than technical talk which might be more befitting the story and genre, there are much longer and unnecessary words. It really separates Snowman from the story, situation and genre all in one without losing anything. Brilliant. I found the world addictive; it was fantastically descriptive but left me wanting more at every time. This is why The Year of the Flood was a bit of a saving grace for me. 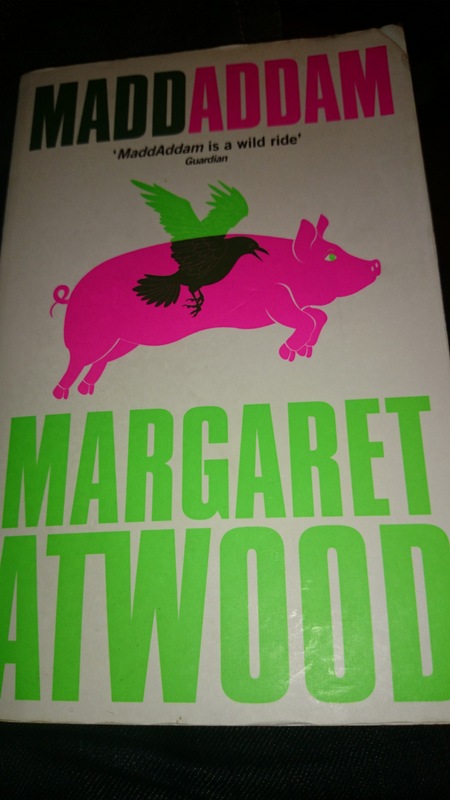 It is set in the same world as Oryx and Crake, but from different perspectives. The changing perspectives mixed with different time frames can disrupt the flow again, but it actually works well. It gives a much fuller account and the characters, places and events all tie in. It’s fantastic, but there will be more on that in a future post. Overall, I love this book. It’s a great “what if” story and world, which is feasible in some small way – although you hope it definitely wouldn’t happen. Combine Oryx and Crake with The Year of the Flood and you get a whole new view of the same story. Excellent planning and I’d love more to come in this world. 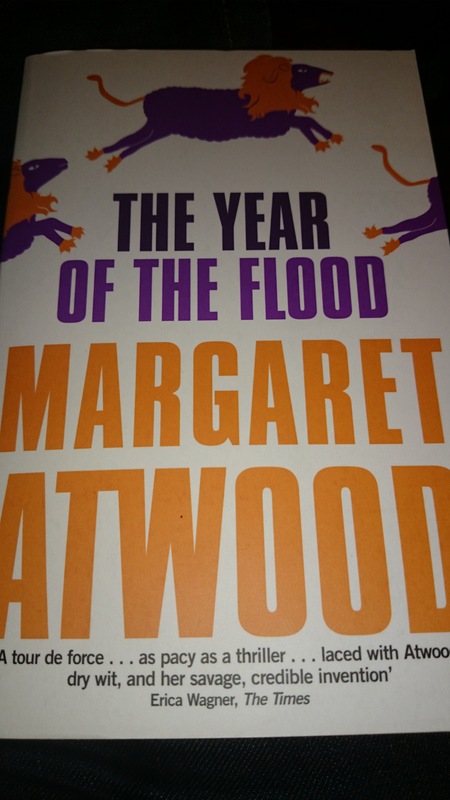 Update: Read about The Year of the Flood and Maddaddam in these posts.